Can you believe that Thanksgiving is only a handful of days away? All that glorious food.... I can smell it already!! Come on, you know you're drooling just thinking about it. Yup, the only thing that can take my mind off that food is food right now. 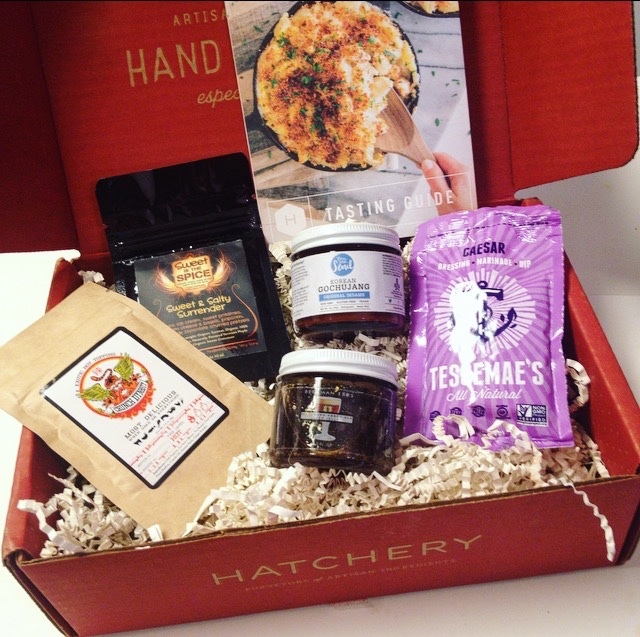 Perhaps the November Hatchery Tasting Box is just the thing I need! 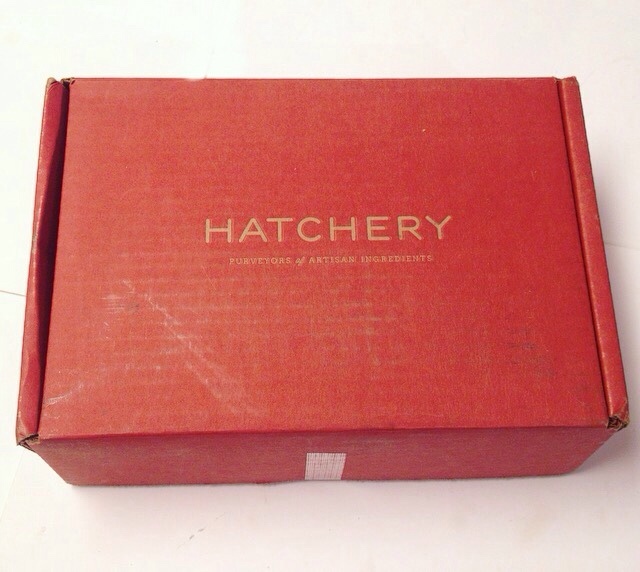 Hatchery, who kindly sent me this box for review, is a monthly subscription service that sends out a curated selection of gourmet artisan ingredients and condiments. 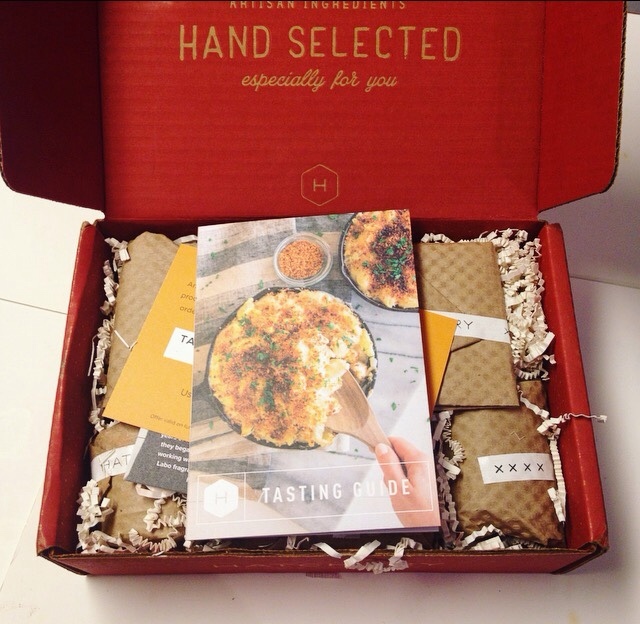 The cost of the Tasting Box' is $20.00 per month and they included some absolutely amazing items each and every time! Need a little extra incentive? 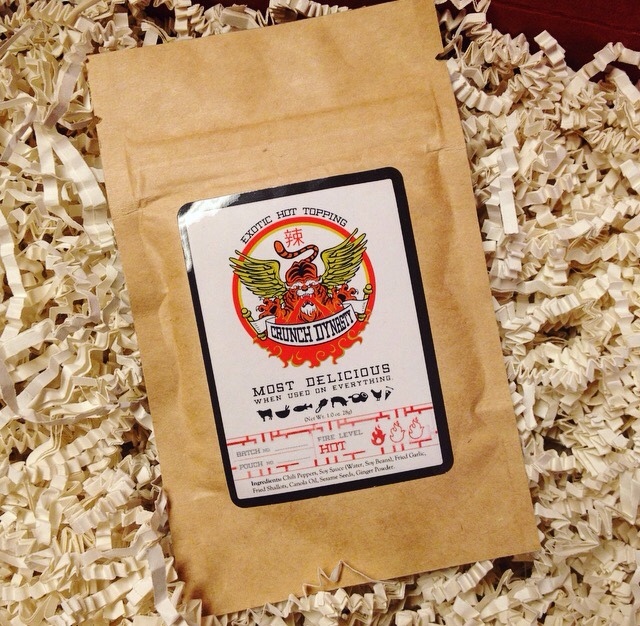 Use the coupon code SAVE10 and take 50% off the cost of your first box!! Their boxes always look so gourmet. The packaging alone just screams high end. The information card is extremely detailed and gives you the skinny on the products you received and the companies that crafted them. 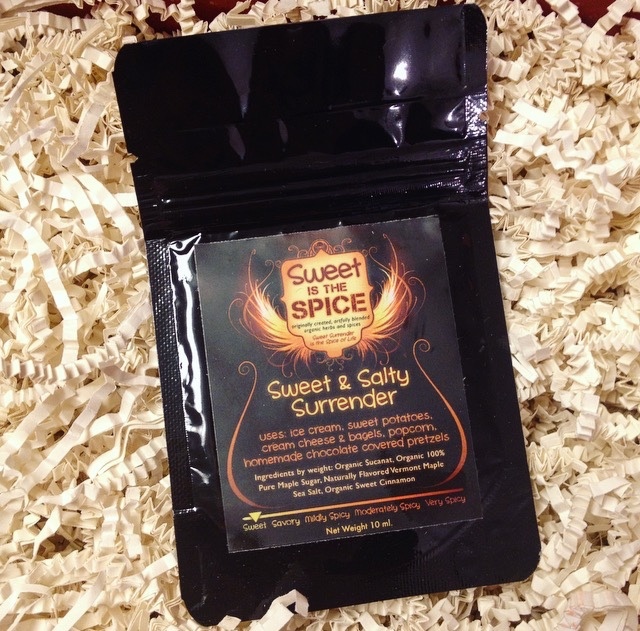 Sweet & Salty Surrender --- ohhhh. Yummy! 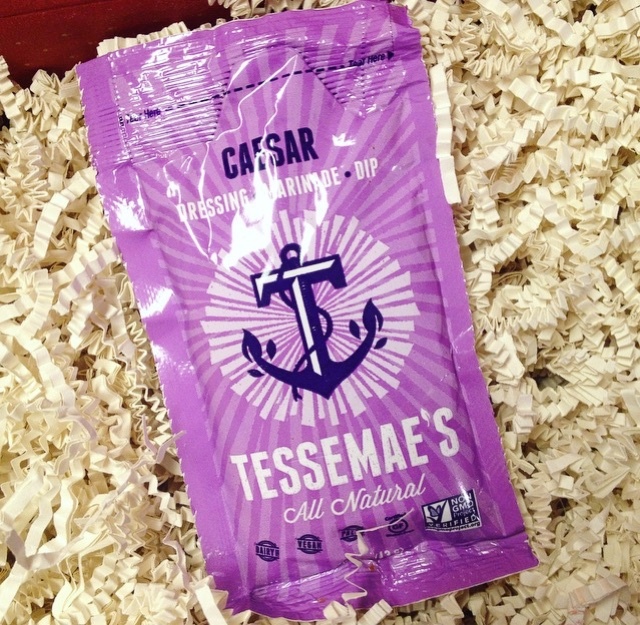 This mix of organic brown sugar, pure organic maple sugar, organic cinnamon and maple sea salt is an AMAZING dessert topping. 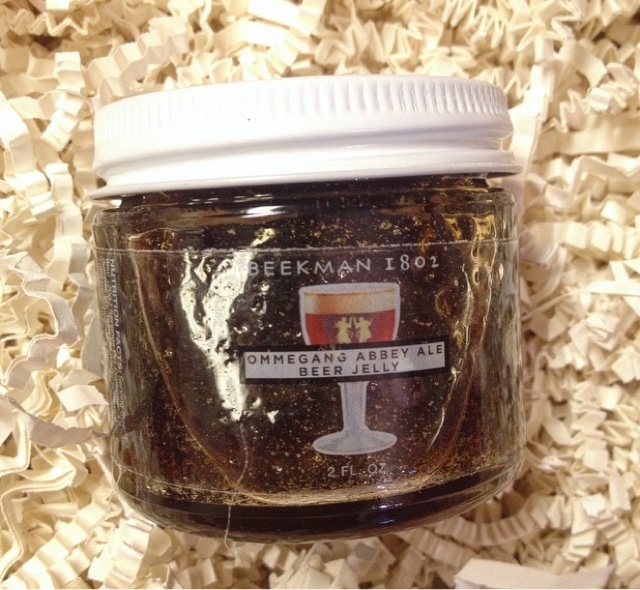 Beekman 1802 Ommegang Abbeyvale Beer Jelly --- I will admit that I have not been brave enough to try this one yet. I hate beer so this isn't to appealing. Crunch Dynasty --- I thought this was a spice blend at first but it's actually a topping or mix-in. Made with chili peppers, soy sauce, shallots and sesame seeds. Born With Seoul Original Sesame Korean Gochujang --- I thought this would be to spicy but it's actually not bad. 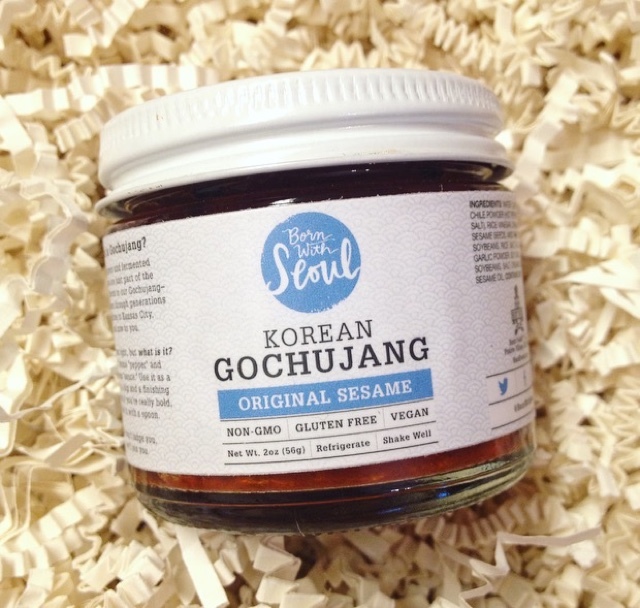 Gochujang is a popular Korean condiment made with sweet and spicy ingredients like chili powder and sesame seeds. I enjoyed this box immensely! 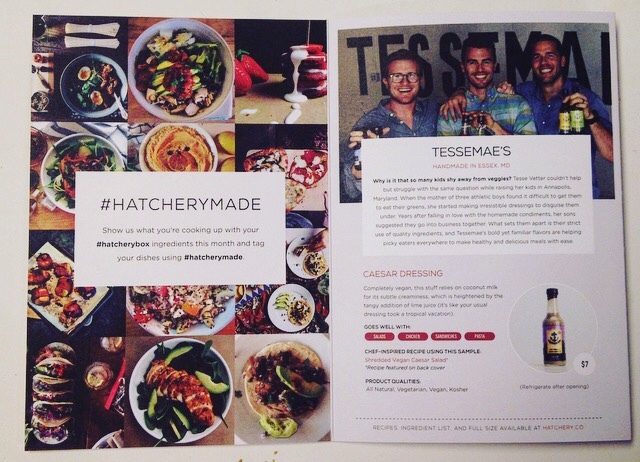 Hatchery is my favorite go to for new ingredients to play around with. Great quality and always delicious! 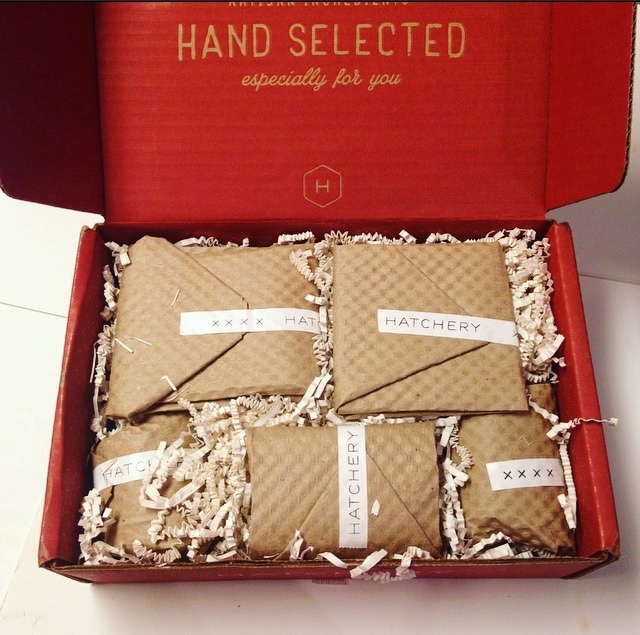 Love the Hatchery Tasting Box? Tell us about it! Disclosure: While this box was received complimentary in exchange for a review, it is honest and unbiased. All views and opinions expressed in this article are solely my own and should be viewed as such!